The State Bar of Texas Board of Directors and its Executive Committee held meetings today in Austin. I’m writing to update you on some of the major developments from the meetings. Much of the State Bar’s work is done by volunteers on 30 standing committees, and there is a safeguard in place to make sure those committees remain effective. At least every other year, the Executive Committee is required by statute to review the existing standing and special committees of the State Bar. The last review was done in April 2017. This year, I will chair the seven-member Committee Review Subcommittee of the Executive Committee. Over the next three months, the subcommittee will assess whether there is a continued need for each committee, whether the committees are fulfilling their purposes, and whether any of their activities overlap. This oversight process has led to a streamlining of the committee process and structure over the years. For example, as a result of the last review, one committee was eliminated as duplicative and five others updated their purpose clauses to more closely align with the purposes of the State Bar. During prior committee reviews, term limits were implemented to rotate committee membership and give more members an opportunity to serve. The Board approved the nomination of Jeanne “Cezy” Collins of El Paso and Larry P. McDougal Sr. of Richmond as candidates for 2019-2020 State Bar president-elect, accepting the recommendation of the Nominations and Elections Subcommittee. The candidates will appear on the ballot in April 2019 along with any certified petition candidates. Click on the names below to read the candidates’ interest letters to the Nominations and Elections Subcommittee. Potential petition candidates have until March 1 to submit their nominating petitions to the State Bar for certification. For information on how to run for president-elect, go here. The Board approved President-elect Randy Sorrels’ request for a Courthouse Access Badge Task Force. The task force will study the development and implementation of a statewide courthouse security access badge that would give lawyers expedited access to Texas courthouses. State Bar Director Christy Amuny of Beaumont and Granbury attorney Cindy V. Tisdale are co-chairs of the 17-member task force. View the full roster here. The board’s Budget Committee met Thursday to discuss the budget process and the timeline for preparing the 2019-2020 budget. The committee is scheduled to meet next on December 13 to finalize a proposed budget for presentation to the Executive Committee and to the board at their respective January meetings. Linda Acevedo is retiring in January 2019 after nearly 10 years as chief disciplinary counsel and 33 years with the State Bar, and we thanked her for her many years of service. She previously served in the Office of the Chief Disciplinary Counsel as first assistant, appellate counsel, trial counsel, corporate counsel, counsel to the local grievance committee, and liaison to the Supreme Court of Texas Professional Ethics Committee and Unauthorized Practice of Law Committee. The job opening was posted today on the State Bar website. If you are interested in applying, go here. Austin attorney Shannon H. Ratliff, a shareholder in Davis, Gerald and Cremer, has been honored for his lifetime of dedicated service to the legal profession and to this country. Mr. Ratliff has been a trial and appellate lawyer for more than 50 years and is a leading authority on oil and gas legal matters. He clerked for U.S. Supreme Court Justice Tom C. Clark and served as an assistant to Lyndon Baines Johnson in his roles as U.S. Senate majority leader, vice president, and president. Dr. Kyle Longley, director of the LBJ Presidential Library, attended the board meeting to help us honor this longtime LBJ advisor. In F.F.P. Operating Partners v. Duenez, 237 S.W.3d 680, 686 (Tex. 2007), the Texas Supreme Court stated that negligent entrustment is a form of vicarious liability. The basis for imposing liability on the owner of the object entrusted to another is that ownership of the object gives the right of control over its use (Id.). But perhaps the court applied this concept too broadly. Perhaps ownership of the object and control of the person using the object are two different concepts. Most Texas cases do not address this distinction because they have construed negligent entrustment in the context of the employer-employee relationship where vicarious liability is otherwise present through respondeat superior [See TXI Transp. Co. v. Hughes, 306 S.W.3d 230 (Tex. 2010); Schneider v. Esperanza Transmission Co., 744 S.W.2d 595 (Tex. 1987); but see, Dao v. Garcia, 486 S.W.3d 618, 629 (Tex. App.—Dallas 2016, pet. denied)(friend liable for driver’s negligent driving where the driver had taken the friend’s keys without her knowledge); Williams v. Steves Industries, 699 S.W.2d 570, 571 (Tex. 1985); Goodyear Tire and Rubber Co. v. Mayes, 236 S.W.3d 754, 758 (Tex. 2007); and McGuire v. Wright,140 F.3d 1038, 1998 WL 156342 at *2 (5th Cir. 1998) (unpublished)]. To establish negligent entrustment, a plaintiff has the burden to prove (1) entrustment of a vehicle by an owner; (2) to an unlicensed, incompetent, or reckless driver; (3) that the owner knew or should have known to be unlicensed, incompetent, or reckless; (4) that the driver was negligent on the occasion in question; and (5) that the driver’s negligence proximately caused the accident (Schneider, 744 S.W.2d at 596). The doctrine of vicarious liability, or respondeat superior, makes the principal liable for the agent’s actions because the principal has the right to control the agent’s actions undertaken to further the principal’s objectives [Wingfoot Enterprises v. Alvarado,111 S.W.3d 134, 136 (Tex. 2003)]. A negligent entrustment cause of action, as a form of vicarious liability, functions seamlessly in an employer/employee context where the employer has the right of control over the employee and the employee, in operating a vehicle, is furthering the interests of the employer. In cases where respondeat superior is not present, the policy reasons for imputing the negligence of the driver to the entrustor are not as convincing. For example, in a social context where a vehicle owner allows a buddy to drive his or her car, no respondeat superior is present. In the case of rental car companies, no respondeat superior is present (Rental car companies are protected from claims of negligent entrustment under 49 U.S.C. §30106, The Graves Amendment). Similarly, respondeat superior is not present when a parent permits a teenager to drive the family car, a customer permits a valet to drive his or her car, a car repair company loans a car to a customer, or a person borrows a vehicle from a coworker in order to drive to and from work. In such non-employment scenarios, the driver operates the borrowed vehicle for his or her own benefit, and not for an employer who has control over his or her livelihood and the driving choices that he or she makes. The entrustor is liable for his or her percentage of fault in entrusting the vehicle (In a non-employment scenario, an entrustor has no duty to investigate the driving record of a prospective driver as long as the driver maintains a valid driver’s license. [Avalos v. Brown Auto. Ctr., 63 S.W.3d 42, 48-49 (Tex. App.—San Antonio 2001, no pet. )], but should the entrustor be responsible for the percentage of fault attributed to the negligent driver? The justification supporting the imposition of vicarious liability on the entrustor is not present when the driver has no obvious connection to furthering the commercial interests of the entrustor. In one illustrative example, the court in Daofound that the driver had implied consent to drive his friend’s car, even though he took the car without her knowledge while she was sleeping. The court applied vicarious liability, and imposed joint and several liability on the driver and his friend, now the entrustor, for a fatality resulting from an accident caused by the driver. The imposition of vicarious liability on the entrustor requires that the entrustor defend the actions of the driver, no matter the negligent driving operations. Furthermore, since under vicarious liability, the negligent driver is not required to be joined as a party and may not be available as a witness, legitimate defenses may be lost. It is not clear whether the entrustor has a post-verdict indemnification claim against the driver as an employer has against an employee [See Aviation Office of America v. Alexander & Alexander of Texas, 751 S.W.2d 179, 180 (Tex. 1980) (common law indemnity permitted under pure vicarious liability, but not between joint tortfeasors)]. The entrustor without control over the driver and whose interests are not being carried out, should be liable solely for his or her own negligence and not for the acts and omissions of the negligent driver. In F.F.P. Operating Partners, the Texas Supreme Court construed the Dram Shop Act, Tex. Alco. Bev. Code § 2.02(b), a statute creating the dram shop’s legal duties, in conjunction with the Proportionate Responsibility Act, Tex. Civ. Prac. & Rem. Code § 33.003 to hold that dram shops are responsible only for the proportion of damages they cause or contribute to cause (F.F.P. Operating Partners,at 692-93). The court specifically noted that the dram shop is responsible for the acts of its employees, but not responsible for the acts of the driver and thus did not have an indemnity claim against the driver. An employer has a common law right of indemnity against an employee (See Aviation Office of America v. Alexander & Alexander of Texas eat 180). Pursuant to Chapter 33 of the Proportionate Responsibility Act requiring the submission of responsibility of “each claimant, defendant, settling person, and responsible third party” to the jury, the dram shop properly had a contribution claim against the driver. Absent a right of control over the driver, absent a right of indemnity against the driver, and armed with a contribution claim against the driver, the liability of the non-employer entrustor should be determined like the liability of the dram shop in F.F.P. Operating Partners, i.e., without vicarious liability. Katherine Knight is a shareholder in Henry, Oddo, Austin & Fletcher in Dallas, www.hoaf.com. The State Bar of Texas Board of Directors voted unanimously September 28 to approve Jeanne Cezanne “Cezy” Collins of El Paso and Larry P. McDougal Sr. of Richmond as candidates for 2019-2020 president-elect. Collins and McDougal will appear on the ballot in April 2019 along with any certified petition candidates. There are currently no additional president-elect candidates, although members have until March 1 to run as a petition candidate by submitting a petition signed by at least 5 percent of the State Bar membership. Collins is general counsel for El Paso Independent School District and previously worked as a legal aid lawyer, an assistant county attorney, and a law firm partner. She served on the State Bar Board of Directors from 2008 to 2011 and as chair of the Texas Bar Foundation Board of Trustees in 2015-2016, chair of the Supreme Court Task Force to Expand Legal Services Delivery from 2009 to 2011, and president of the National Conference of Women’s Bar Associations in 2011-2012. Collins is a Founding Life Fellow of the El Paso Bar Foundation for which she served as president from 2008 to 2011, and was a commissioner for the Texas Access to Justice Commission. She is currently a member of the Board of Disciplinary Appeals. Collins was honored with the 2017 President’s Award from the George A. McAlmon Inn of Court, El Paso and the 2013 Shattering Barriers Award from the Mexican American Bar Association of El Paso, among other accolades. She earned her J.D. from University of Arizona College of Law-Tucson in 1991. McDougal is board certified in criminal law and the founder of a namesake law office where he practices with his son. McDougal has previously served as a police officer, firefighter, and an assistant district attorney. He served on the State Bar Board of Directors from 2012 to 2015 and continues to serve on the State Bar Continuing Legal Education Committee. He is the District 5 Grievance Committee chair for the State Bar and District 5 nominating chair for the Texas Bar Foundation. McDougal also serves on the Texas Criminal Defense Lawyers Ethics Committee, Ethics Hotline, and Strike Force. He teaches legal ethics to lawyers around the state and is a member of several professional associations. McDougal won the President’s Award from the Texas Criminal Defense Lawyers Association in 2009, TexasBarCLE Standing Ovation Award in 2014, and the Outstanding Third-Year Director Award from the State Bar of Texas in 2015, among other accolades. He earned his J.D. from South Texas College of Law Houston in 1990. Collins and McDougal were recommended to the board by the Nominations and Elections Subcommittee, which interviewed six potential nominees from non-metropolitan counties. Austin Attorney Shannon H. Ratliff (center), receives a resolution honoring him from from Kyle Longley, director of the LBJ Presidential Library (left), and State Bar of Texas President Joe K. Longley (right). The State Bar of Texas Board of Directors on Friday presented attorney Shannon H. Ratliff with a resolution honoring him for his service to the bar and the people of Texas and the United States and his overall commitment to the legal profession. Ratliff is a shareholder in Davis, Gerald and Cremer in Austin. He has been a trial and appellate lawyer for more than 50 years. Early in his career, Ratliff clerked for U.S. Supreme Court Justice Tom C. Clark and served as an assistant to Lyndon Baines Johnson in Johnson’s roles as U.S. Senate majority leader, vice president, and president. Ratliff, a leading authority on oil and gas legal matters, has served as the lead trial lawyer in numerous complex lawsuits for Fortune 50, 100, and 500 companies in a variety of statewide and nationwide litigation. He was appointed and served as a member of the University of Texas System Board of Regents from 1985 to 1991. He is a Life Fellow of the Texas Bar Foundation and the Austin Bar Foundation and is a Fellow of the American College of Trial Lawyers and American Board of Trial Advocates. In today’s digital workplace, organizations are deciding to outsource services to the Cloud. Cloud computing is transforming IT, there are significant benefits to this which can introduce real cost savings and an abundance of flexibility to businesses. When choosing to move to the Cloud, IT services, data, and infrastructure are transferred to a Cloud Provider. Essentially, the IT systems are moved to a secured data center somewhere in the world and clients just need a computer and internet connectivity. Data is a valuable asset and must be protected, it is critical to understand your Cloud Security compliance as we are constantly reminded of Malware/Virus outbreaks, Ransomware attacks, Data misuse scandals and privacy breaches. The security landscape is forever changing, frequent vulnerability scanning and fixes must be performed by security experts to keep one step ahead. Customer data networks and Cloud provider management networks must be segregated and encrypted to ensure only privileged users have access to sensitive client data, on a need-to-know basis. Modern data centers are constructed to stringent physical and technical security safeguards, your Cloud provider must have audited access to the buildings, 24/7 security patrols, and extensive security camera protection. IT Systems must be protected with complex passwords and strong authentication methods. Cloud Computers need to be constantly monitored and maintained to offer the best protection, the Cloud Provider is responsible to seamlessly manage and guarantee all the underlying server infrastructure is updated and regularly patched to provide robust antivirus protection. Data must be controlled and managed to provide greater data integrity standards. When organizations move to the Cloud, the IT Services are usually moved from the organizations head office. This immediately provides increased security as it separates the clients from their servers. A virtual private network (VPN) is created which can grant site-to-site access to the Cloud. All other access can be restricted, allowing only privileged VPN users secured access. Cloud Computers are built with many software-defined security policies which control user account privileges. Each user account has a unique set of security rights, this dictates which computer service and what data a user account can have access too. Strict deny permissions are implemented to prevent users from accessing unauthorized files that are not within the user’s remit. These permissions can be managed centrally and are used to create a bespoke set of rules to control data access. Cloud Computing providers offer 3 distinctive services; private, public and hybrid Cloud solutions. Finding the Cloud solution that matches your organization’s IT strategy is essential. This decision will ultimately affect where your data is located, which is extremely important when considering data privacy laws and data protection compliance. For Organizations that handle secret, confidential and private data, private and isolated Cloud offerings would be beneficial. This will guarantee the user that data is geographically located in an appropriate data center for compliance and on systems for exclusive use. Public Cloud is internet facing, public accessible Cloud Computing services. This is for companies who have no confidential data, typically this may be used on shared web hosting for public information. Hybrid Cloud offers the best of both worlds, client private data can be stored in a secured location, and public services can be leveraged into a public provider. If you are looking for a cloud hosting solution and are still not sure what you need, or need healthcare compliant HIPAA hosting then contact us and one of our sales engineers will be happy to guide you further. The State Bar of Texas Board of Directors will hold its quarterly meeting Friday, September 28 in Austin. The meeting will begin at 9 a.m. at the Renaissance, 9721 Arboretum Blvd. Members of the public are welcome to attend. Click here to view the meeting agenda and backup materials. Your Member Benefit Program has everything you need to spruce up your home without breaking the bank. Check out the Home & Garden page for more info. SunPower Solar — Solar power lowers your monthly electric bill and helps protect the earth for the next generation. When you sign up for a free home evaluation from SunPower, you’ll get a rebate of up to $1,000. Whirlpool — With Whirlpool’s Inside Pass Program, you can enjoy substantial savings on trusted appliances, accessories, and other products for your home. Perks include exclusive promotions, easy payment, and more. ADT Authorized Dealers — ADT provides innovative security products and services. Get a free ADT monitored home security system, an $850 value, when you sign up for a new ADT monitoring service with Safe Streets USA. iRobot — State Bar of Texas members receive 15% off select iRobot home-cleaning robots. All robots come with a 30-day, money-back guarantee and a one-year limited warranty. Corelle Brands — With the Corelle Brands Employee Purchase Program, you can save 20% on cooking and cutlery products. Available brands include Pyrex, CorningWare, and more. Easy Canvas Prints — Easy Canvas Prints lets you turn your treasured photos into works of art. Enjoy free shipping and 75% off a range of sizes. Finecraft Rugs — The Finecraft Designer Rugs collection includes rugs from Belgium, Turkey, and India. State Bar of Texas members save 50%. It’s no secret that the Texas legal community provides pro bono services, helping those in need. But while attorneys across the state may want to offer their assistance, they may not always have the time or necessary skills to do so. That’s where Hours for a Cause steps in. The website encourages lawyers to pledge to donate a day of billable hours to an organization that provides pro bono services. Through the website, attorneys fill out an online pledge form, committing to match pay from a work day toward a nonprofit legal service organization that provides pro bono services. The site currently focuses on organizations that are helping with immigration issues, such as American Gateways, Kids in Need of Defense, and Refugee and Immigrant Center for Education and Legal Services. Hours for a Cause was created by Liz Nielsen, of Austin-based Nielsen Law. During the recent family separation crisis, Nielsen wanted to help but needed to get creative with her busy estate-planning practice and lack of knowledge on immigration. Her solution: to donate a day of her billable time to a legal services organization that provides pro bono services to asylum seekers. “It occurred to me that there were probably lots of attorneys like me, who wanted to give back in the wake of the immigration crisis but didn’t have the time or skills to provide pro bono legal representation,” Nielsen said. She then created Hours for a Cause so that other attorneys could pledge to support causes they feel passionate about. Hours for a Cause sends out email reminders about pledges. Attorneys are instructed to donate directly with their preferred organizations. For more information on Hours for a Cause and how to donate, go to hoursforacause.com. Originally published by Stacey E Burke Blog. As more potential job candidates flood the workforce, law firms have ample opportunity to hire more economical employees… potentially replacing higher paid existing employees. In order to maintain a semblance of job security, you have to work that much harder to both understand what “value” your law firm needs from you and how you can demonstrate you are fulfilling their needs and more. Employees who know how to promote themselves and their contributions in the right way generally get ahead faster, even before their higher-performing peers. The first and often biggest obstacle is that law firms don’t always do a great job of letting employees know what job duties or metrics will determine their success; therefore, it can be very difficult to know if you’re meeting the firm’s standards. 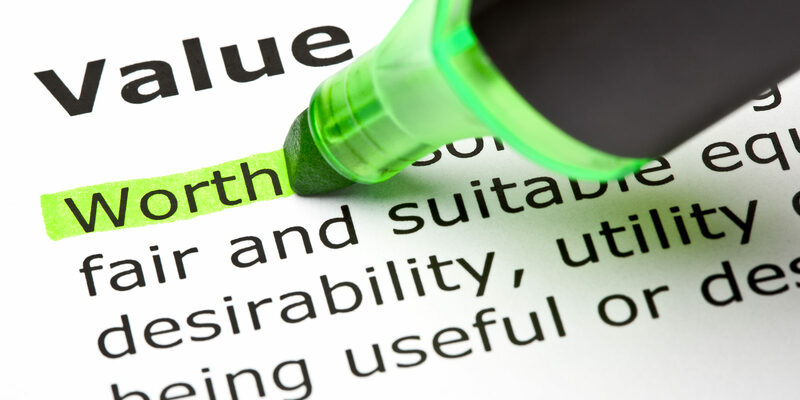 How Does a Law Firm Define Value? Value can be defined as the benefits received after accounting for the costs to obtain the benefits. For example, for an associate attorney in a law firm, the firm’s measurement of his or her value would consist of what the associate brings to the table (e.g. hours billed, new clients brought in, etc.) minus their salary, benefits, and general overhead costs. In today’s fickle and competitive legal market, knowing how to demonstrate your value to your law firm is more important than ever before. And this value assessment applies not just to lawyers, but also to administrators and legal staff members. Viewing value another way – the law firm is your client and you are providing the necessary services to keep them happy and meet their goals. In doing so, you need to provide value to the law firm’s clients, the lawyers you work with, and the firm as a whole. If you really want to think big picture, you can also be mindful of your value to society as a whole via your contributions through legal work with the firm. Be a Guide: Show how you can help your colleagues learn something at work that they may not already know or be familiar with, from something simple like completing a time sheet properly to a more complex task like legal research. If someone is new to the law firm, you can help fill them in on the way things are done; but even lawyers who have been with a firm for a while often change roles or dockets or practice areas. If you have valuable insights to share about people, processes, and procedures, do it! Make Your Own Metrics: While some jobs come with built-in, easy-to-understand metrics, most law firm jobs don’t. While some basic metrics like hours billed or hours worked can be helpful, they are rarely sufficient to demonstrate your full value to the law firm. Whether your law firm has its own system or not, you can come up with your own way to measure your value and track your progress by using appropriate metrics. Be consistent and build on your data from week to week in order to tell the story of your success one year or one quarter at a time. Be sure to tie your own success directly to the goals of your law firm and show how you are helping them get achieved. Watch Out For ‘We’: When you are part of a team, practice section, or other organized group, it is easy to say “we” did this or that when you really did the majority of it yourself. Avoid lumping your individual contributions in with everyone else on your team. Teamwork is important, but you won’t get hired or fired as a team, so be sure to own the specific work you’ve done. When In Doubt, Don’t Throw It Out: Save all important paperwork, e-mail, and other forms of data. In many cases, you can clear up confusion later by producing an email where someone “confirmed” a task was completed. Be Adaptable: Ask your coworkers how they prefer to work, such as whether someone is a hands-on micromanager who prefers to be kept in the loop on every small detail or prefers only a daily email update on a project. If they want it, give it to them. Find out what they feel are the priorities for your role and make those priorities your priorities. Check In Regularly: This may be our most important tip. So much future drama can be avoided by checking in regularly throughout the course of a case or project or workweek. Everyone in a law firm works with others, and you never know just how important each “other” will be in determining your value. One approach is to send a weekly email to your supervisor covering what you’ve done in order to keep them apprised of your progress. An email like that often triggers a response where you are told which items to prioritize. While you don’t want to be a narcissistic braggart, you do want to show how you went above and beyond your normal job duties. Listen to Tip Number Four, and keep a record of all of your weekly updates so you can refer back to them when it’s time for your formal performance review or annual bonus. Don’t Just E-Communicate: In today’s age of modern communications, all of us – especially millennials – are more prone to engage with others exclusively via the impersonal means of email, messenger, or text. Communicating with your coworkers in real life, face-to-face, helps build relationships with them and keeps conversations more personal. Employees who can communicate effectively in person and interact with others to get things done have greater value (especially in a service-based business) than those who can’t or simply choose not to. Develop Your Intensive Value: Intensive value is derived from a specific skill you’ve developed over time. For a litigation paralegal, this can be going with your attorneys to trial. Being known as the “trial paralegal” is a huge coup for a paralegal and often makes him or her one of the most important employees of a law firm. You can develop your intensive value or skills by taking continuing education courses, reading books, blogs, and articles on your topics of expertise, building relationships with well-known people in your field, and knowing when your expertise is or will be needed at your law firm and stepping up to help, even if it is not your job. Sometimes showing up to work on time, maintaining a positive attitude, and keeping your head down at your desk to get your work done are simply not enough to make a law firm understand your value as an employee. Our law firm business development experts work with lawyers and other law firm staff every single day to ensure they add value to their law firms and to their lives. Be sure to let us know how we can help. 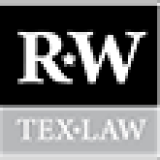 Texas’ Third District Court of Appeals in Austin has affirmed a lower court’s order confirming an arbitration award despite that no transcription of the arbitration hearing was created. In Dixie Equipment, LLC v. Energia de Ramos, S.A.P.I. de C.V., No. 03-17-00492-CV (Tex. App – Austin 2018), Dixie Equipment, LLC and Dixie Turbine Services, LLC (“Dixie”) entered into two contracts with Energia de Ramos, S.A.P.I. de C.V. f/k/a Deacero Power S.A.P.I. de C.V. (“Deacero”) to procure and assemble certain equipment for a power plant located in Nuevo Leon, Mexico. Both contracts contained an arbitration clause. After Dixie purportedly abandoned the project, Deacero filed a demand for arbitration. In response, Dixie filed a counterclaim against Deacero. The two companies selected an arbitration panel, agreed to a discovery timeline, and scheduled a final arbitration hearing to take place in Austin, Texas using International Centre for Dispute Resolution (“ICDR”) procedures. About five months before the hearing, however, Dixie notified the arbitration panel and Deacero that the company was no longer financially capable of participating in arbitral proceedings or paying its share of the arbitration fees. Despite this, the final arbitration hearing took place as scheduled. Dixie’s legal counsel failed to attend a portion of the arbitration proceedings and the hearing was not transcribed. The arbitral panel ultimately issued a default award of more than $16 million in favor of Deacero. A Travis County trial court confirmed the arbitration award against Dixie and the company filed an appeal with the Third District Court of Appeals in Austin. On appeal, Dixie claimed the trial court’s order should be reversed because the arbitration panel failed to create a record of the final arbitration hearing. Dixie points to the established rule in judicial proceedings that a post-answer default judgment will be reversed if the proceeding resulting in the rendition of the default judgment is not recorded. See Smith v. Smith, 544 S.W.2d 121, 123 (Tex. 1976). Dixie then urges, without supporting authority, that the same rule should be applicable to a post-answer default arbitration award, as here. Dixie inquires why should post-answer default arbitration awards receive less scrutiny than post-answer default judgments rendered by publicly elected judges in open court. This Court noted that because there had been no record made of the arbitration hearing, it was not possible to know whether the ex parte communication contained new information not already presented to the panel or was merely a summary of evidence introduced at the hearing. See id. at *6. Without a record showing evidence to the contrary, the Court presumed that no misconduct occurred; that the information in the ex parte communication was a summary of information previously conveyed to the panel in the hearing; and that the ex parte communication did not operate to deprive Vorwerk of a fair hearing. See id. The Court concluded, accordingly, that the trial court did not err in confirming the award. See id. In absence of contrary authority, this Court remains committed to the rule followed in Vorwerk. After that, The Austin court stated Dixie’s assertion that the company’s due process rights were violated “because lack of financial resources barred it from presenting its counterclaim” was without merit. Dixie did not file with the arbitration panel any proof of its financial inability to pay the required deposit to assert its counterclaim. In June 2016, Dixie’s counsel wrote the arbitration panel asserting that Dixie was “financially unable to continue to defend” against Deacero’s claim. In the same letter, counsel stated that Dixie would be seeking bankruptcy “sometime in the near future.” These assertions were not supported by affidavit or other proof. In its brief, Dixie refers to its net-worth statements filed in the trial court in support of its motion to suspend enforcement of judgment. Dixie agreed to abide by the rules of the arbitral forum. Those rules state that failure of a party asserting a counterclaim to pay the required deposit will be deemed a withdrawal of the counterclaim. ICDR art. 36.4. In the absence of proof to substantiate Dixie’s claim of inability to pay the required deposit, the arbitration panel was justified in withdrawing the counterclaim. Finally, Texas’ Third District Court of Appeals in Austin affirmed the trial court’s order confirming the arbitration award. Originally published by Priyanka Kasnavia. The post French Chemical Company Indicted in Texas appeared first on . Originally published by Herrman & Herrman, P.L.L.C..
On this past Thursday, the San Antonio City Council approved and adopted revisions to the City Code that require owners of all outdoor pets to provide shade for their animals to be able to take shelter from direct sunlight when outdoors. The idea was first sparked earlier this summer when a six-month-old shepherd mix named Molly sustained severe thermal injuries from prolonged exposure to the sun with no shelter. The owners surrendered Molly to the Animal Care Services where she received medical treatment and was able to recuperate. Since the incident, Molly has now been adopted. District 8 Councilman, Manny Paelez, along with the Animal Care Services and the Animal Defense league spearheaded the initiative and prepared the revisions to the City Code which was approved on Thursday. The new law went into effect immediately. The new revisions included adding the definition of shade to the current code which gives officers the tools to be able to ensure that pets are safe. Shade can include patios, trees, canopies, and more. Essentially anything that provides the animals shade from direct sunlight and allows them to get out of the heat can be considered shade under the city code. In a written statement to the San Antonio Express-News, Pelaez said: “adding the definition of shade to our current code brings a critical gap and provides ACS officers with the necessary tools to ensure our pets are safe, especially during the hot summer months.” The City code previously included various requirements to pet owners to provide animals with “humane care and treatment” but it did not go as far as to require owners to provide shade to the animals. The new city ordinance can come with civil or criminal penalties and can result in fines up to $2,000. The post New City Ordinance Requires San Antonio Pet Owners to Provide Pets with Shade appeared first on . Original author: Herrman & Herrman, P.L.L.C. Originally published by Robert G. Chadwick, Jr.. Original author: Robert G. Chadwick, Jr. Originally published by Guest Contributor. Franchised businesses and other companies are susceptible to class-action lawsuits from current and former employees for four years (and sometimes longer) after the no-poach provisions are removed from contracts. These lawsuits can last for years and grow as more plaintiffs are identified. Agreements—even unwritten or “gentleman’s agreements”—between unrelated companies, including between independent franchises, not to hire or solicit employees raise risks of civil and criminal enforcement. Franchises doing business outside the United States have risks of scrutiny of no-poach provisions by foreign authorities. Review contracts for any no-poach provisions. Consult with an attorney about whether to remove or modify such provisions even if they have not been enforced. Discuss internally, especially with your HR department, the risks associated with no-poach agreements. Review compliance training to ensure no-poach agreements are addressed. If any inappropriate conduct is identified, consult with an attorney about options to address and potentially to self-report to authorities. The Department of Justice can provide immunity from criminal antitrust enforcement, subject to several provisions, if the conduct is voluntarily disclosed in a timely manner. Originally published by David K. Bissinger. Lawyers, penned up in their offices, are poor candidates for entertaining twelve strangers when those strangers have become accustomed to the instant gratification every juror has available on a mobile device.